The road from Brisbane to Sydney spans over 900kms and requires over 10 hours of constant driving to traverse. Even regular road-trips across this distance can be stressful, so interstate removals require careful planning along with meticulous execution to ensure all items are transported safely. It’s best to leave interstate moves in the hands of professional Brisbane to Sydney removalists. At Fast Removalists Sydney, we know what’s involved in the process and can handle the move efficiently. Why Hire Professional Brisbane to Sydney Removalists? Removals Brisbane to Sydney – Logistics – Logistics and planning are a big aspect of the moving process because lack of planning leads to a higher risk of loss and damage. As a professional removalist company, we understand the importance of planning, and invest a considerable amount of time and effort into the process. We choose the best route, take traffic times into consideration, and schedule the move according to the client’s convenience. As experienced interstate removalists, we’re aware that different clients have different requirements and take the time to tailor the move accordingly. Our team discusses the scale of the move, budget, timing, and other such factors of the move with the client before creating a plan. 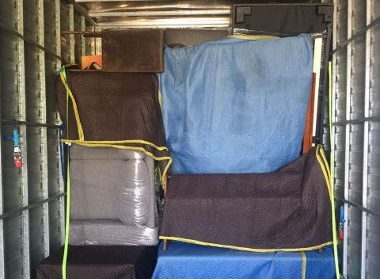 Removals Brisbane to Sydney – Packing – Packing is an integral aspect of the removal process and it’s always safer to let a professional removalist handle the job. Packing doesn’t just involve placing the items in moving boxes and taping them, especially if the items are being transported over long distances. It’s important to wrap everything securely and ensure they have adequate protection from impact. Our expert team of removalists know the packing process like the back of their hand. 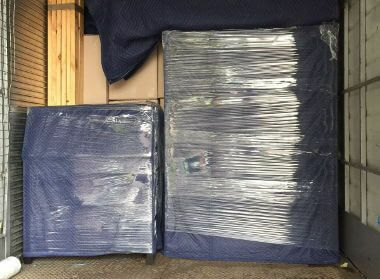 They understand which items need extra care, and will use the right packing material and techniques to protect the cargo. We also provide the packing materials so clients don’t need to go out of their way to purchase boxes, packing paper, tape, etc. We will arrive at your location with the required amount of packing material to ensure the job is completed on schedule. Permits and licenses required for interstate removals – All removalists must be licensed and have the necessary paperwork needed in order to cross state lines legally. We have made the journey several times over the years and understand all our legal obligations well. We make sure our drivers have valid and current licenses to operate moving trucks across state lines. As we’re careful with our paperwork, the trucks pass all checkpoints without delays and your possessions reach the destination on time. Without the right paperwork, removalists and their trucks can be held back and not allowed to cross the state lines. This can cause massive delays in the move and add to your expenses as well. Interstate removalists insurance – All professional moving services are required to have good insurance coverage in order to protect customer interests. Even well-planned and executed moves can face problems over a long-distance, which is why it’s very risky to carry out interstate removals without some insurance coverage. A comprehensive coverage ensures customers don’t have to spend additional money on repairs and replacement if something goes wrong during the move and items are damaged. You won’t get the same level of protection on more affordable personal insurance plans. That’s why it’s safer to hire a professional removalist to handle the job. Comprehensive interstate removal services – Our full moving service includes everything from packing and loading to unloading and unpacking. This lightens the burden on your shoulders and allows you to focus on other tasks. This service also includes packaging material and placing all items where customers want them to be. Furniture removalist – The furniture removalist service is specially designed to transport furniture from one location to another. We can transport small and big pieces and even carry out bulk interstate removals. For example, our furniture removalist team can pack up and transport all the furniture in your home in Brisbane and transport it to your new location in Sydney. Our experienced professionals also know how to disassemble and reassemble the furniture pieces carefully. This allows us to transport large pieces of furniture like beds, tables, shelves, cabinets, etc. 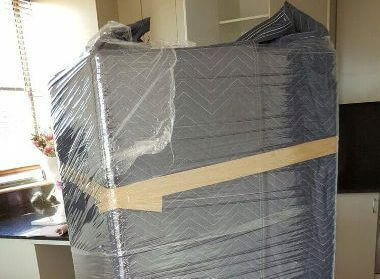 Flexible removals – Some clients want to save money and still hire professionals for loading and transporting all items. We offer flexible plans that allow our clients to do just that. They can handle the packing and unpacking themselves and just hire our regular or furniture removalist team to take care of the loading, transport, and unloading process. Cheap interstate removalists company – We understand that moving can be a big financial burden on the customer and work to keep our services affordable. We quote some of the best moving services prices and work with the client to create a comfortable budget. We also have an interstate moving cost calculator online that will give you a fair estimate of the expenses involved and allow you to plan for the move. 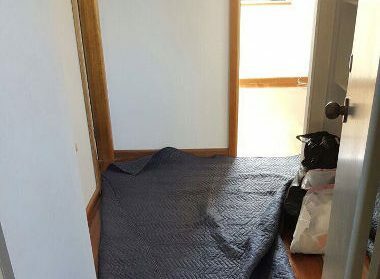 If you’re looking for affordable Brisbane to Sydney removalists, look no further. 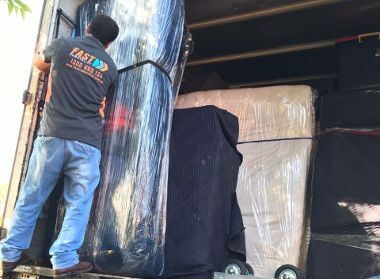 We offer low-cost and safe interstate removal services to clients in Brisbane and will ensure all possessions reach the destination without problems of delays. 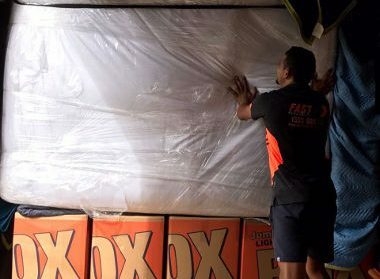 If you want to know more about our removal services, don’t hesitate to contact us at Fast Removalists Sydney. You can call us or fill in our online form and we’ll be happy to help.